Sheldon, make sure he has to hobble to the ER barefooted. Get those shoes behind you and get them good. We all share your pain, little honey bunny. I'm hopping in late today - I guess the mayhem is over? Well, RG, when I first looked at the photo earlier today, there was a person standing behind Sheldon. Now, all that remains is an empty shoe. 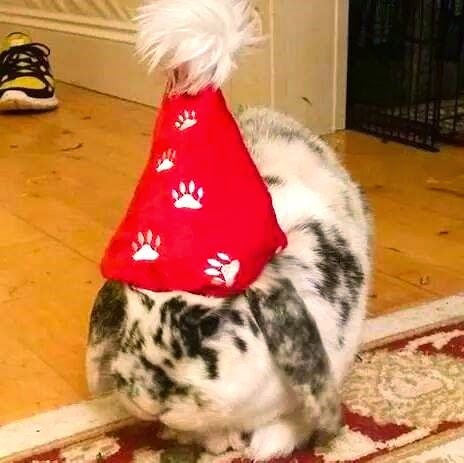 Let this be a reminder to all who are tempted to put "cute" clothing on a rabbit during the holiday season.